Those that fall under the Type O blood type should basically stick to a high protein diet, low carbs, as well as a balanced intake of fruits and vegetables. However, food foes for Type Os include most grain food such as corn and wheat germ. They should also try to avoid dairy products. Type O types are commonly affected with hypothyroidism, high stomach acid (leading to ulcers), and thinner blood with greater resistance to blood clotting. 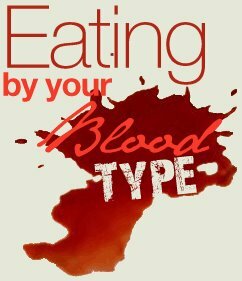 According to the blood type diet, your blood type is a key indicator of your body chemistry, how you absorb nutrients, your susceptibility to illness, and the way your body deals with stress! Phewww... what a relief. I thought it would not be advisable for me to consume Tongkat Ali. It falls under the category of fruit or vegetable? hehhe my blood type...er...errr i dun know arrr, uwarghh ken agi check nie. heheh tongkat ali jenis darah apa pun bole kecuali sesapa yg ada darah haid takleh gab bahaya jejejeje. sama la kita...err..err adakah darah kita sama?